Apple today introduced iPad, a device for browsing the web, reading and sending email, enjoying photos, watching videos, playing games, reading e-books, and much more. Its high-resolution Multi-Touch display lets you interact with content — including 12 innovative new apps designed especially for iPad and almost all of the 140,000 apps available on the App Store. The large Multi-Touch screen on iPad lets you see web pages as they were meant to be seen — one whole page at a time. With vibrant color and sharp text. See and touch your email in ways you never could before. In landscape, you get a split-screen view, showing both an opened email and the messages in your Inbox. To see the opened email by itself, you just turn iPad to portrait, and the email automatically rotates and fills the screen. With its crisp, vibrant display, and its unique software features, iPad is an extraordinary way to enjoy and share your photos. For example, the new Photos app displays the photos in an album as though they were in a stack. Just tap or pinch to open the stack, and the whole album opens up. The large, high-resolution screen makes iPad perfect for watching any kind of video: from HD movies and TV shows, to podcasts and music videos. The YouTube app organizes videos so they’re really easy to see and navigate. To watch one, you just tap it. When you’re watching in landscape, the video will automatically play in full screen. With the iPod app, all your music is literally at your fingertips. You can browse by album, song, artist, or genre, with a simple flick. To play a song, just tap it, and the now playing screen will show the album art at full size. Just tap on the iTunes Store icon, and you can browse and buy music, TV shows, podcasts — or buy and rent movies — wirelessly, right from your iPad. 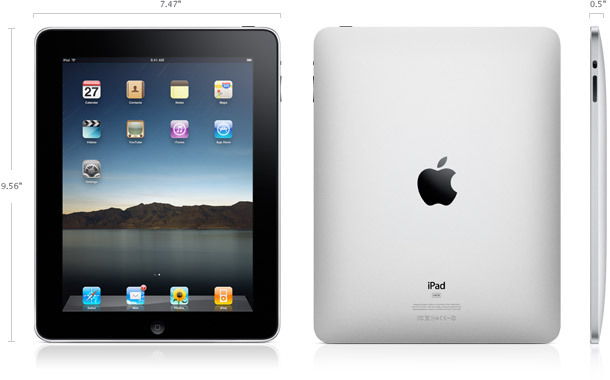 iPad will run almost 140,000 apps from the App Store. Everything from games to business apps, and more. And new apps that have been designed just for iPad are highlighted, so you can easily find the ones that take full advantage of its features. The iBooks app is a great, new way to read and buy books.1 Just download the app for free from the App Store, and you’ll be able to buy everything from classics to bestsellers from the built-in iBookstore. See more of the world with high-resolution Satellite and Street View images. You can even see topography with the new Terrain view. With its expansive display and large, on-screen keyboard, iPad makes jotting down notes easy. In landscape mode, you get not only a note-taking page but a list of all your notes. iPad makes it easy to keep on schedule by displaying Day, Week, Month or List views of your calendar. That way, you can see an overview of a whole month, or the details of a single day. The Contacts app on iPad makes finding names, numbers and other important information quicker and easier than ever before. Spotlight Search allows you to search across iPad, and all of its built-in apps. Including Mail, Contacts, Calendar, iPod, and Notes. In the event of death of member, this form is to be used by a nominee / family member to claim the member’s Provident Fund accumilation. – Refund of Employer share. To be preferred by the person eligible to receive the Employees’ Provident Fund dues of the deceased member who died while in services. Radio Frequency Identification (RFID) is a tool for identifying and tracking items or people. In an RFID system, a small memory-storage chip (tag) is placed on an item. RFID readers (emitters) send out radio waves to detect tags and read their data. 1. The building is over 800 metres (2,625 ft) tall and has more than 160 stores, the most of any building in the world. 2. Besides an observation deck on its 124th floor affording 360-degree views of the entire city, Burj Khalifa is home to the world’s first Armani Hotel, luxury offices and residences, and a variety of other sophisticated leisure and entertainment facilities. 3. 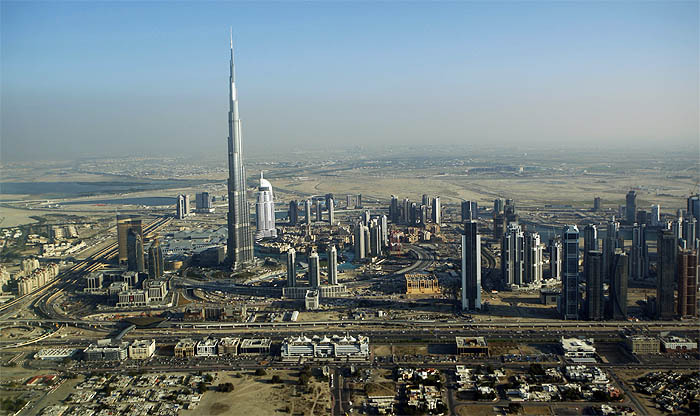 Burj Khalifa will ultimately be the place of residence, work and leisure for a community of up to 12,000 people. 4. At their peak, some apartments in the Burj were selling for more than 1,900 US dollars per square foot, though they now can go for less than half of that. Emaar has said the entire Downtown Burj Khalifa development, which includes the tower, will cost 20 billion US dollars to build. You are currently browsing the Free to share your thoughts blog archives for January, 2010.